What is sportsmanship? We all know we are supposed to be good sports but how do we know what that means in practice? To answer such questions, we need an account of sportsmanship. 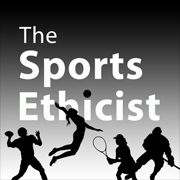 In this episode, we are going to look at the classic account of sportsmanship given by James Keating in his “Sportsmanship as Moral Category,” published in Ethics in 1964.